So excited! 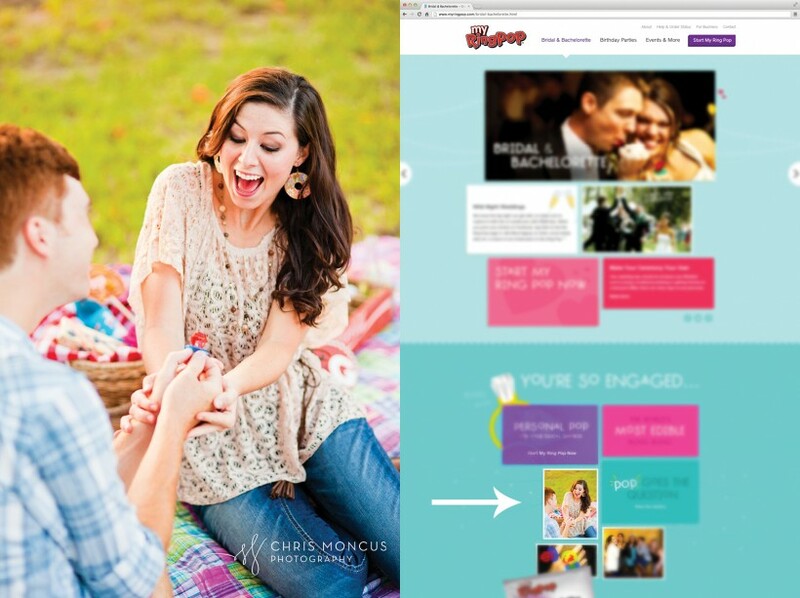 One of our engagement photos was recently licensed to TOPPS, the company who makes Ring Pop candy, to use in their new website– My Ring Pop. In promoting their use at weddings, they chose a photo from an engagement session with Rachel and Grayson reenacting the proposal with a Ring Pop. Jill Phillips liked this on Facebook. Hannah Ferrell liked this on Facebook. Nikki Wheeler Blanchard liked this on Facebook. Roby Culver liked this on Facebook. Jennifer Gray liked this on Facebook. Arwyn Raina liked this on Facebook. Sandy Umhoefer Schoettle liked this on Facebook. Kathy Herrin Lee liked this on Facebook.